A cavalry captain returns from the Napoleonic wars to find the doors of London society closed to him. 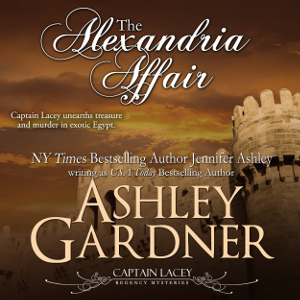 Then a missing girl and horrific corpse plunge Captain Gabriel Lacey into the dark underworld of Regency London. Kat tries to help an elderly gentleman from China who is suspected of murdering the next-door neighbor of Kat’s employer in Mount Street. 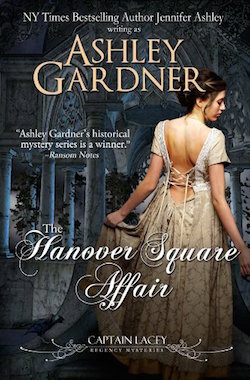 The puzzle becomes more tangled as she looks into the matter, taking her to the beautiful botanical gardens and Kew and into the world of Chinese immigrants to England’s shores. 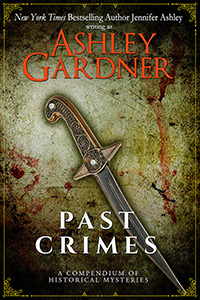 Book 3 in the Kat Holloway Mysteries. Available in print, e-, and audio. 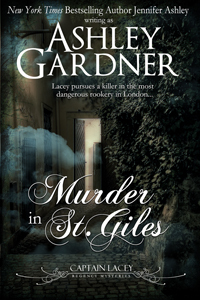 Captain Lacey investigates a crime in the notorious slum of St. Giles and helps his wife when the late Lord Breckenridge’s family threaten to take away her son. In print and e-! Audio coming soon. 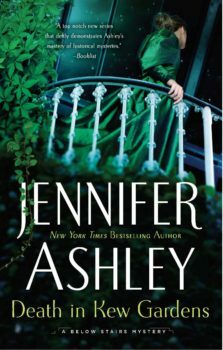 Sample novellas from three Ashley Gardner / Jennifer Ashley series.